Glide on evenly for a smooth finish. 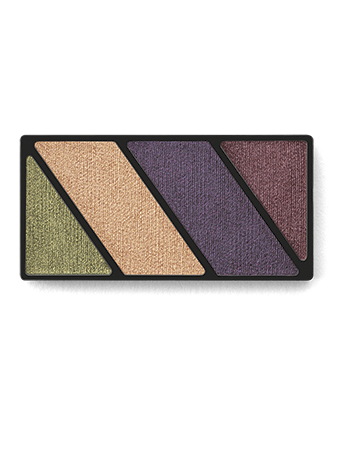 Now anyone can have fun with color, thanks to these easy-to-use, expertly coordinated mineral eye color quads. Each quad fits perfectly into either Mary Kay® compact and features four complementary shades that help you create eye-catching looks in the blink of an eye. Use one shade or all four – the options are almost endless. From a smoky eye at night to a more neutral eye for day, you’ll enjoy creating a variety of new looks to fit any occasion. These rich shades range from matte to high shimmer and are blendable and buildable, so you can quickly turn it up or tone it down. Each palette works for any skin tone and eye color. Highlighter The lightest shade used in an eye look, it enhances eye features such as the brow bones and inner corners of the eyes. Depending upon your eye shape, it can be applied over entire eyelids or just along the brow bones and inner corners of the eyes. Midtone The medium shade used in an eye look. For a professional look, this shade is usually neutral. It can be applied over entire eyelids or above the creases for definition. Accent The darkest shade used in an eye look, it adds a pop of color and depth to the eyes. It’s often applied from the lashlines and blended right above the creases. An Eye Color Brush has bristles that are tapered and rounded at the ends to help shape and define eyes and blend color evenly. 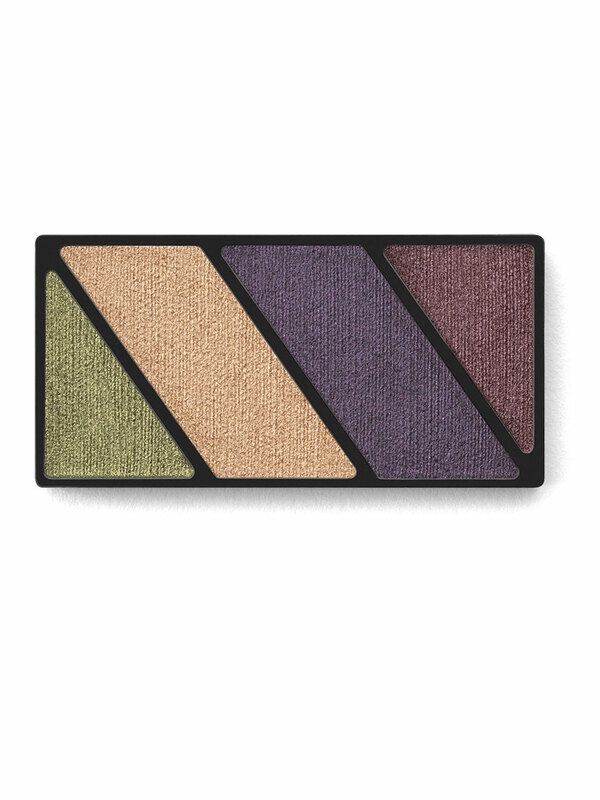 Sweep color softly across the eyelids and then lightly above the creases for a natural, yet polished look. An Eye Crease Brush has long, thin, pointed bristles and is used with midtone and darker shades of eye color to add depth to eyes. Begin by placing the brush at the outer corners of the eyes and then sweep inward following the natural creases. This brush also can be used to create a smoky eye look. Using the brush tip, sweep softly along lower lashes from the outer corners inward. An Eyeliner Brush is used to line eyes and enhance sparse eyebrows with eye color. This flat, angled, short-bristle brush makes it easy to apply a thin line of color along top and bottom lashes. It's also a great tool to use for blending your eyebrow pencil.